My husband and I have done a great job this year with sticking with our “be healthier” New Year’s resolution. We’ve joined a gym, we eat healthier meals, and we’re making good snacking decisions. Sometimes all this healthy eating can become a little boring, so I’m always looking for new foods to try to add to our regime. I’m glad to have been introduced to a new item that we can snack on without the guilt from Milton’s Craft Bakers. What I liked about Milton’s before I even opened the boxes, was what I read about them. They are committed to using organic and non-GMO ingredients, with a minimum of 82% organic contents in every box. These crackers are all natural, peanut free, and run only 110 – 130 calories per serving. They are also Orthodox Union Kosher. As they say on their website, they are “obsessed with providing our customers with the only the best to support healthy living and happy taste buds” – and I like that drive! The first flavor I tried was the Original Multi-Grain. Once I opened it, it didn’t last long! This is by far my favorite flavor of the group. Very satisfying as an afternoon and post-dinner snack. I found them to be tasty and filling. The Honey & Corn has a sweet taste to it that really gives it something “extra”. They call it their “corn bread cracker” and that’s exactly what it reminds me of. The Chocolate Multi-Grain and Blueberry Multi-Grain are both great choices for a sweet tooth like me – you can really taste the organic chocolate and real blueberry essence in these crackers. I like these as a mid-morning snack. They refer to their Honey Multi-Grain cracker as reminiscent of your favorite “o’s” cereal growing up – and they speak the truth! This is a cracker that I could eat any time of day. There’s just a hint of sweetness to it without being overwhelming. 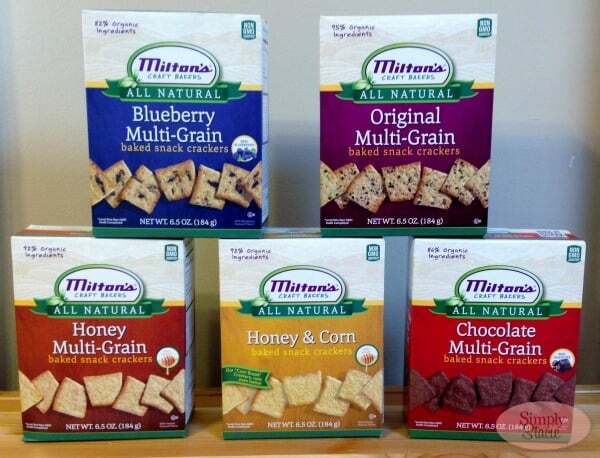 Around since 1995, Milton’s has grown from a deli in California to a baking company that offers customers the finest ingredients in their breads and crackers. They’ve even started a line of frozen meals to give families a healthier yet still convenient meal option. You can see their full line of products on their website. I would love to try the Creamy Chicken with White and Wild Rice Entree, thanks! I’d be all over the Chocolate MultiGrain! I’d most like to try the Seeds and Grains Bread! Thanks. Chocolate? Oh my gosh! Chocolate!!! id love to try the chocolate! I would like the honey grain crackers. I would love to try the Chocolate Multi-Grain. I want to try the Honey and Corn Baked Snack Crackers. I want to try the Chocolate Multi-Grain Baked Snack Crackers. I love love to try the Chocolate Multigrain. The Roasted Garlic & Herb Multi-Grain Baked Snack Crackers is what I’d like to try the most. They sound healthy, yet tasty. I’d like to try the Blueberry Multi-Grain Baked Snack Crackers. I would like to try the chocolate multigrain. 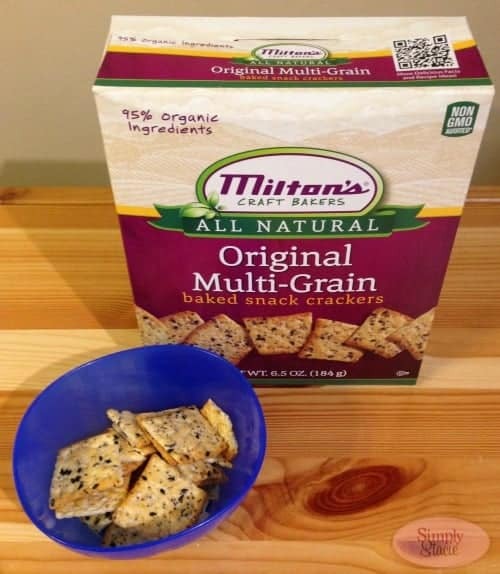 I want to try the Whole Wheat Sesame Multi-Grain Gourmet Crackers! I would like to try the Roasted Garlic & Herb Multi-Grain Gourmet Crackers. Honey Multi-Grain Baked Snack Crackers. The Shrimp and Penne Pasta looks very tasty!